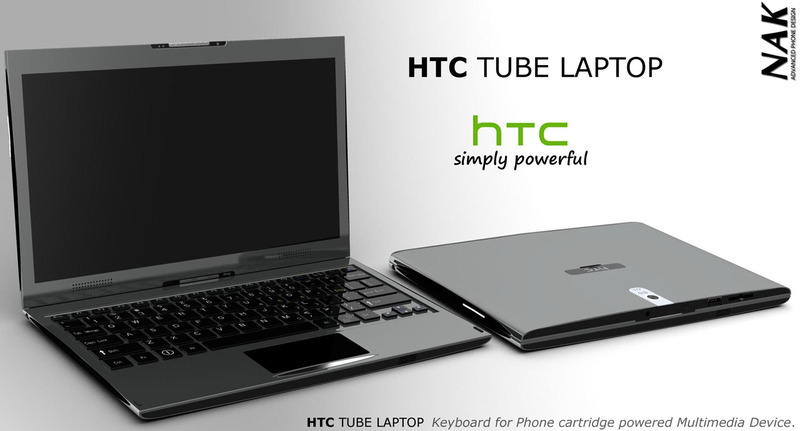 Antoine Brieux showed us some fantastic designs till now, but now he has outdone himself with the HTC Tube concept, in the finalized version. 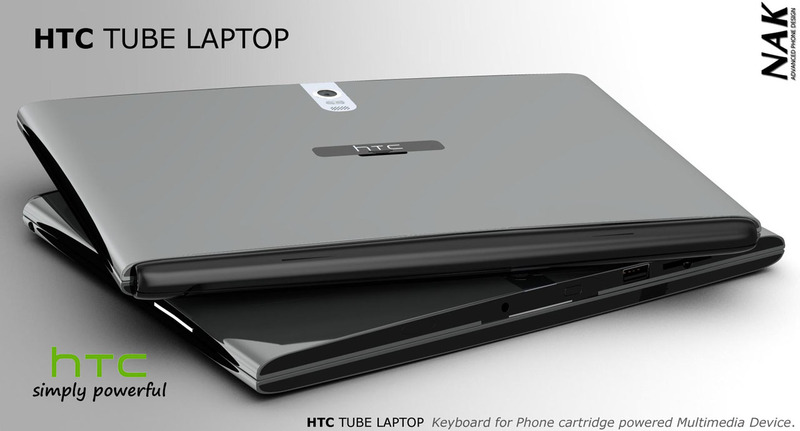 Well, the HTC Tube Phone was detailed a while ago and so was the HTC Tube Tablet, but now we’re dealing with a laptop that integrates them both. 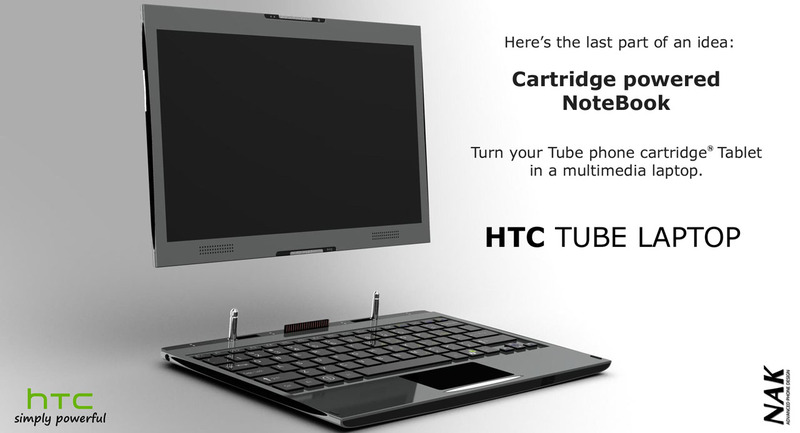 The result is a cartridge-powered notebook, a multimedia laptop using both the cartridge tablet and a keyboard accessory. There’s also a basic phone integrated for quick answering, a stick handset that we’ll detail in a later article. 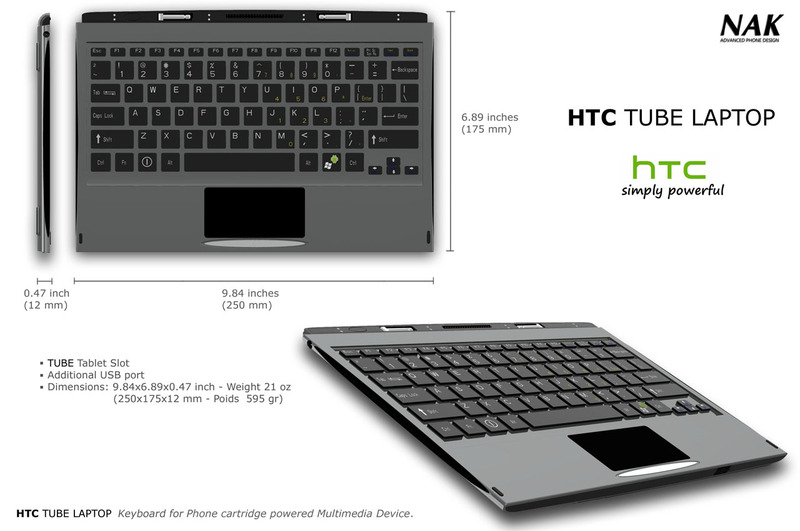 Well, considering the features of the concept HTC tablet, the laptop must use the 10.4 inch S-AMOLED multitouch display, HDMI port, 128GB of memory (at least) and either Android or Windows Phone 7. HTC Sense is the UI of choice, with the Tube Phone maybe providing its 3.2, 5 or 12 megapixel camera in different configurations. 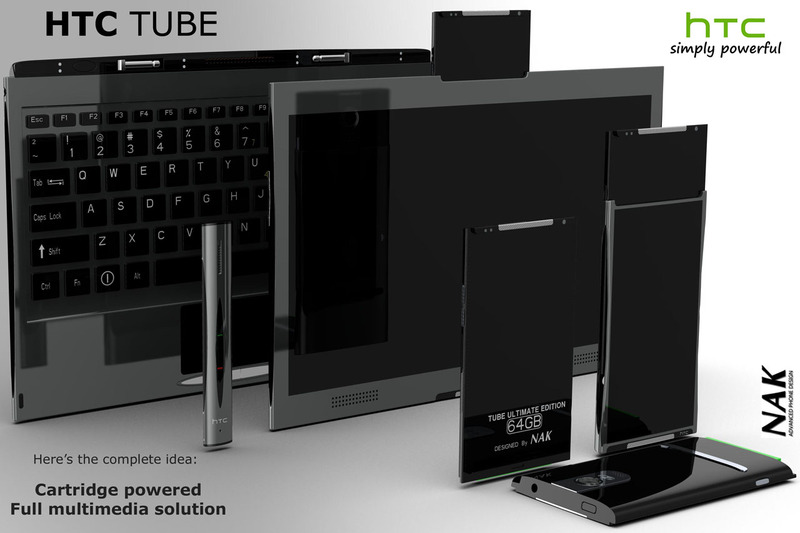 This is the heaven of all modular devices out there and a brilliant design. Any company would be a fool not to invest in such cool gear. 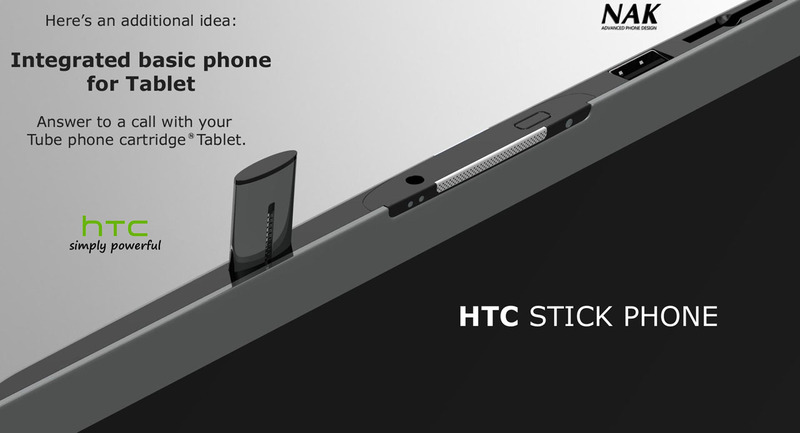 Stay tuned for the following article on the NAK Stick Phone!